Elderly individuals in California often become isolated over time. As family members and friends pass away, become less mobile, or move away, older individuals may find themselves living alone with few, if any, people to interact with. This isolation can lead to significant mental and physical ailments and puts individuals at risk for neglect and abuse by caretakers and financial scams. Fighting elderly isolation is essential in improving older individual’s health as well as protecting them from neglect and abuse. It is not simply that we think elderly individuals are more likely to suffer mental health issues or additional physical medical problems, it is a statistical fact. Research conducted by the University of California, San Francisco, found that 18% of seniors in the state live alone and 43% reported feeling lonely on a regular basis. The same study found older individuals who reported feeling lonely had an increased risk of death by 45% and isolated elderly had a 59% higher risk of mental and physical decline compared to more social older individuals. Physicians across the state regularly witness the negative effects of isolation, which greatly contribute to an early death. Isolation makes elderly individuals targets for neglect and abuse. When individuals live alone, they can quickly become reliant on in-home care. This puts caretakers in a position of power, which they can easily take advantage of. The isolated senior, who the caretaker may neglect, emotionally or physically abuse or financially steal from, does not have anyone to turn to or may not have the physical or psychological capabilities to reach out for help. Yet it is not only seniors living alone who become victims of neglect and abuse. Many elderly who live in assisted living facilities or nursing homes are isolated by not having regular family or friends visit. Unethical nursing home staff may take advantage of residents who they know have little connection to the outside world or who have declining capabilities. Isolated seniors with mental disorders such as dementia and Alzheimer’s are routinely victimized because nurses, physicians, and other authorities may not believe their complaints. A number of local California organizations are stepping up to fight elderly isolation, including Little Brothers Friends of the Elderly (LBFE). The organization pairs elderly individuals with younger friends who can keep in contact with the elderly person, visit them, and plan outings. The organization also works to connect these older adults with resources that can keep them safe and healthy while living at home as long as possible. Since its founding in 1990, more than 540 older individuals have been served in the San Francisco area, leading to more than 4,000 visits each year. 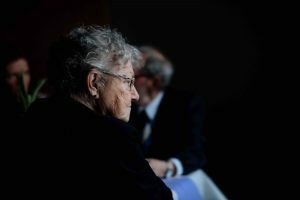 If you are an older individual suffering from abuse or neglect, or you believe your loved one is being victimized, call a San Francisco elder abuse attorney at Brod Law Firm to learn more about your or your elderly loved one’s rights. Elder neglect and abuse can give rise to civil lawsuits and criminal charges. However, it often takes an experienced lawyer to know when a problem rises to the level of a cause of action or crime. If you are unsure, never hesitate to ask. Call us today at (800) 427-7020.